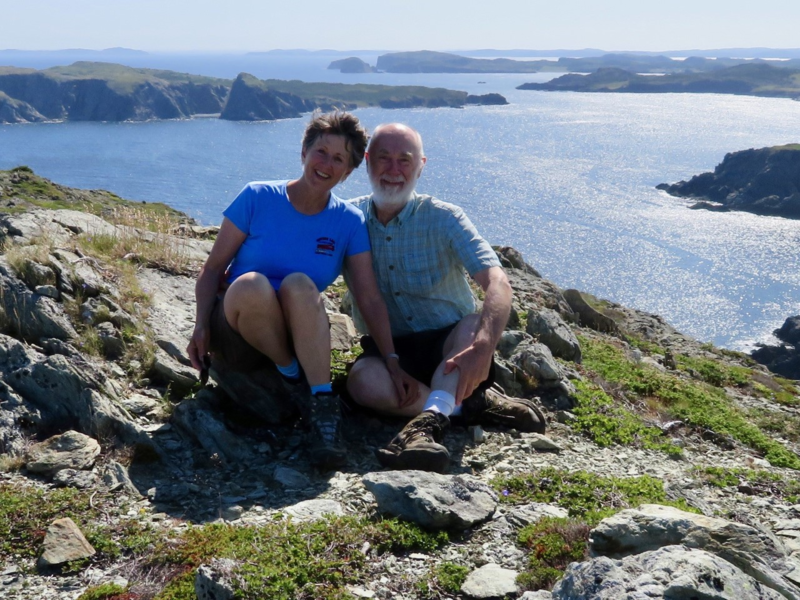 Come kick off the 2019 Armchair Traveler series with Peggy Bronsberg and Bernie Langreck as they share images and stories from their summer 2018 adventure in the Canadian province of Newfoundland and Labrador. Traveling in a truck camper, this couple roamed about for four months, exploring back roads and rarely-visited villages on the island of Newfoundland as well as more well-known sites such as Gros Morne National Park, Gander, and the capital city, St. John’s. They also took a week-long voyage aboard a cargo ship making its first voyage of the year to deliver supplies to several Inuit (Eskimo) villages along the north coast of Labrador. Icebergs and polar bears and puffins—Oh, my! !